Need To Qualify For HAFA? There seems to be ALOT of discussion on the site about the new HAFA short sale streamlining program that went into effect on April 5th. I figure at least we can try to keep some of the discussion together on here! The HAFA or Home Affordable Foreclosure Alternatives program is part of HAMP (Home Affordable Modification Program) and is an attempt to streamline the short sale process that went into effect April 5th 2010. Below we have also posted a general breakdown and information on the HAFA Short Sale Program Guidelines. CLICK HERE for the complete version. Here is the "condensed" version we made up of the program, we now have a printable version of this breakdown along with a list of participating servicers and lenders on the preferred partners site! 1.) Verification of income is no longer required. In other words, borrowers do NOT need to prove that their payment is greater than 31% of their income. This is essentially a "stated income short sale"
3.) 2nd position lien holders WERE capped out to receive a maximum of $6,000 OR6% as a contribution from the 1st (whichever is less). They now removed the "6%" from the guidelines completely. (in other words, a $60K 2nd loan could NOW recieve up to $6,000 from 1st, where before the maximum allowed would have been $3,600). Below is our basic breakdown of the HAFA government short sale program. For a complete HAFA training portal, including Fannie Mae and Freddie Mac HAFA guidelines as well as training on the HAP Military short sale program, see the CSSG Certified Short Sale Guide short sale training course. This is copyrighted content. Please DO NOT COPY or reuse this content in ANY way! HAFA (Home Affordable Foreclosure Alternatives) is not the law. It is a set of guidelines servicers can elect to follow. Went into effect April 5, 2010. Does not apply to FHA or VA loans. Applies to 1stlien holders (non GSE mortgages). Fannie Mae and Freddie Mac have their own set of guidelines listed below. Offers incentives to borrowers, servicers and investors. Borrowers receive $3,000 to help with relocation expenses. Servicers receive $1,500 to cover administrative and processing costs. Investors receive up to $2,000 for allowing a portion of the sale proceeds to be distributed to subordinate lien holders. 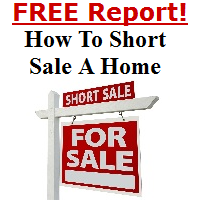 Limits the amount of time a lender is given to respond to the short sale offer. Requires that the lender waive their right to pursue a deficiency judgment. The servicer cannot charge the borrower for processing fees of any kind and is required to pay all out of pocket expenses. Limits the claims made by subordinate lien holders. Does NOT require that a borrower’s financial information is verified. Subordinate lien holders will receive some form of payment. The transaction must be considered at arm’s length. The buyer may not resell the property for at least 90 days. Expires on December 31, 2012. The loan must be the first mortgage. The loan must have originated before January 1, 2009. The unpaid balance must be less than or equal to $729,750. The amount may be exceeded in some cases for two- to four-unit dwellings. The property must be, or recently was, the borrower’s primary residence. The property must be listed with a licensed real estate professional. The real estate commission cannot exceed 6%. The servicer may not require that the real estate commission should be reduced as a condition of the sale. However, in disputes between 1st and 2nd position lien holders, an agent contribution may still be required. Cannot qualify for a trial loan modification. Did not successfully complete the trial loan modification. Missed two or more payments consecutively during the trial modification process. Requested a short sale or deed-in-lieu of foreclosure. The servicer issues two documents which can be sent proactively or at the request of the borrower. Within 10 business days of receiving the RASS and all required attachments, the servicer must approve or deny the request and inform the buyer. If the request is disapproved, a statement of reasoning must be given. The first mortgage lien must be released in accordance with local or state laws or regulations. If there are none set in place, the lien should be released within 30 business days from the date the servicer receives payment and satisfies the mortgage. Improvement in borrower’s financial situation. Borrower or listing broker does not act in good faith in the listing, marketing, or closing aspect of the sale. Any fraud or misrepresentation in the sale. Substantial change in property’s condition or value. Bankruptcy is filed by borrower. Any litigation that happens (or is in danger of happening) that would affect the title, such as divorce or probate. Please see the CSSG Online Training Designation for complete HAFA program trainingincluding Fannie Mae and Freddie Mac Guidelines, as well as training for the HAP military program. Please do not copy or reuse this content in ANY way! This is copyrighted content of First Coast Realty Associates and The Short Sale Specialist Network. What issues or concerns do you have with the HAFA government short sale program? Lets discuss ANYTHING to do with HAFA on here! You need to be a member of HAFA Short Sale Program to add comments! Wishing you all a happy and successful New Year!!!! I know that the tax forgiveness act was expiring (and was renewed) however, this is the first I have heard that the HAFA program had a 2013 expiration date. The HAFA Program was set to expire on Dec 31, 2012. Has it been extended in the "Fiscal Cliff" or some other new law? Does anyone know? Thanks. my client was just HAFA approved but was over appraised. Wells wants 345K list and im getting offer nearer to 290K. My question, can the homeowner contribute cash on a FREDDIE HAFA? Or has anyone disputed the appraised value and after how long can you dispute. What is the HAFA escalation process? I received an SSA from IndyMac/One West with a preapproved net to the bank, not an approved selling price. SSA stated reasonable and customary closing costs could not exceed 3%. We did the termite report and found $3,300 of damage. We submitted the estimated HUD with an offer which gave the lender the SSA approved net. Indymac/OWB stated the investor is denying the termite and want their net that was approved on the original SSA to be raised by that amount. The HAFA Directive 09-09 Revised states that termite repairs are considered customary closing costs. Does anyone have experience challenging lender decisions that are contrary to HAFA guidelines? Do you have any contact numbers? I have done many, many short sales ,but this is my first HAFA to be actually approved .Wells is the first and I have the approval from them with the 6k for the 2nd which happens to be GMAC. The bank statements and paystubs used to obtain the approval were all those supplied at the outset ,Dec, 2011, and having received the approval last week from the first,Wells , I asked the 2nd ,GMAC , for their approval . GMAC are seeking updated information like bank statements and paystubs and are not accepting the ones used to obtain the Wells approval. Seller has moved to another State and is now working and earning money . He could not find suitable employment in Florida . Such requests are common in regular short sales , but I am inquiring from those agents who have been through this if GMAC will try try to get more than their 6k ,even though they got TARP money . Yes it is available for Fannie and Freddie, Aileen, but the guidelines are different. All the lovely "make it easier" guideline changes that Treasury keeps spouting are only for non-GSE loans AND if you read the fine print you realize that it says that they (non GSE investors) don't actually have to abide by any of the guidelines. They can make their decision on a loan by loan basis...LOL. It's all smoke and mirrors folks.